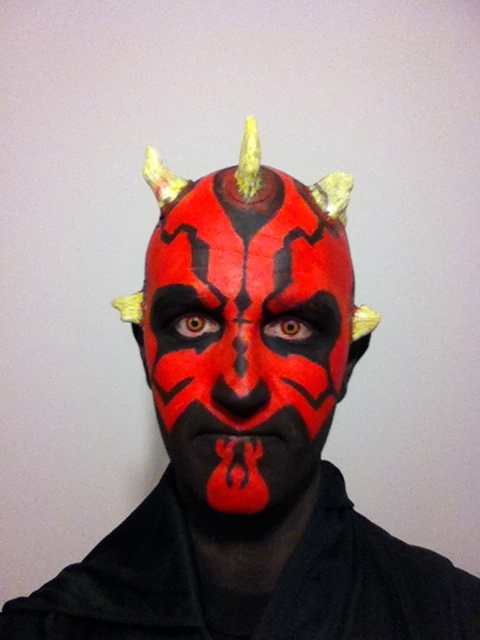 I would like to point out that I am not a makeup artist and have zero previous experience at this sort of thing. I just did some research and had a go. 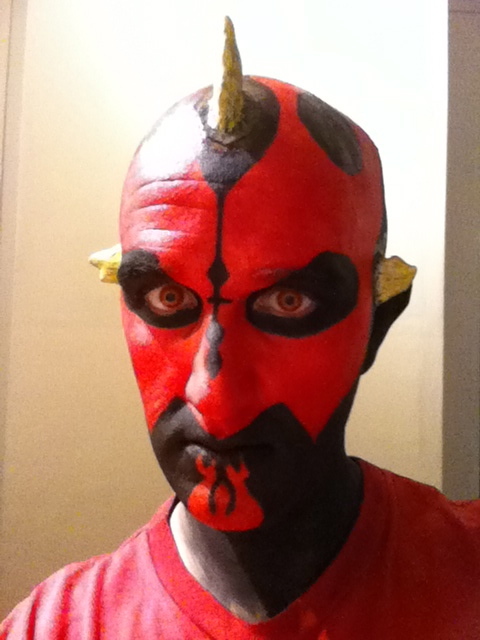 I started off with the part that I figured would take the most amount of time, Darth Maul’s horns. Taking the clay I made a thin base for the horn to be based upon, so that when I came to paint the latex on this base would create the part of the horn that would be in contact with my skin. 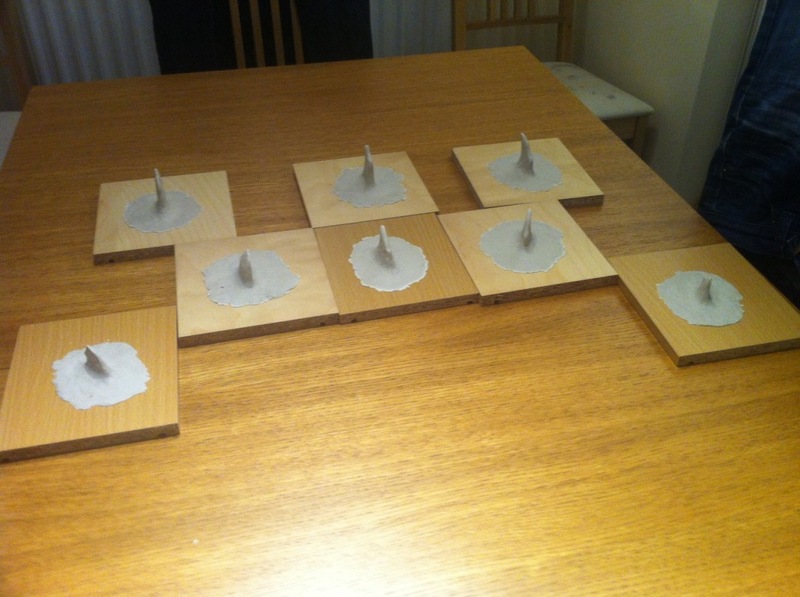 I just used my hands and fingers to mould the clay into varying horn like shapes rough based on stills from Darth Maul in The Phantom Menace. I then used a tooth pick to etch some finer details into the horns. When I was happy I attached the horn to the base mentioned above. 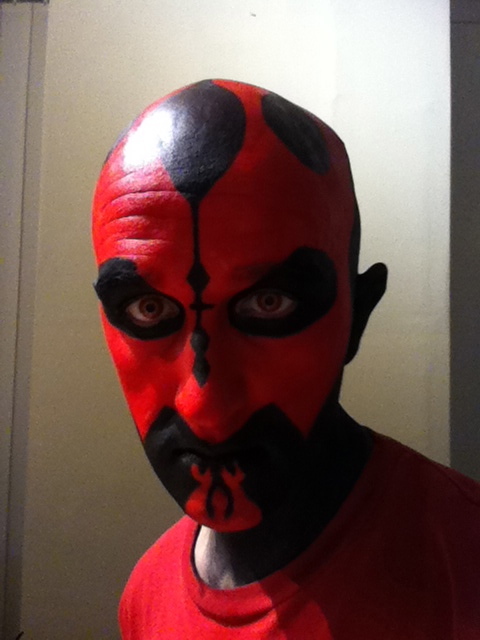 I wasn’t sure exactly how many horns Darth Maul has as he wears a hood the majority of the time, but I went with 8 – 3 at the front, 3 at the back and 2 smaller ones for the sideburn/ear type area. 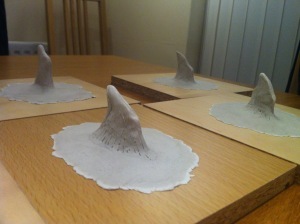 You will notice as the moulds dry they turn white. 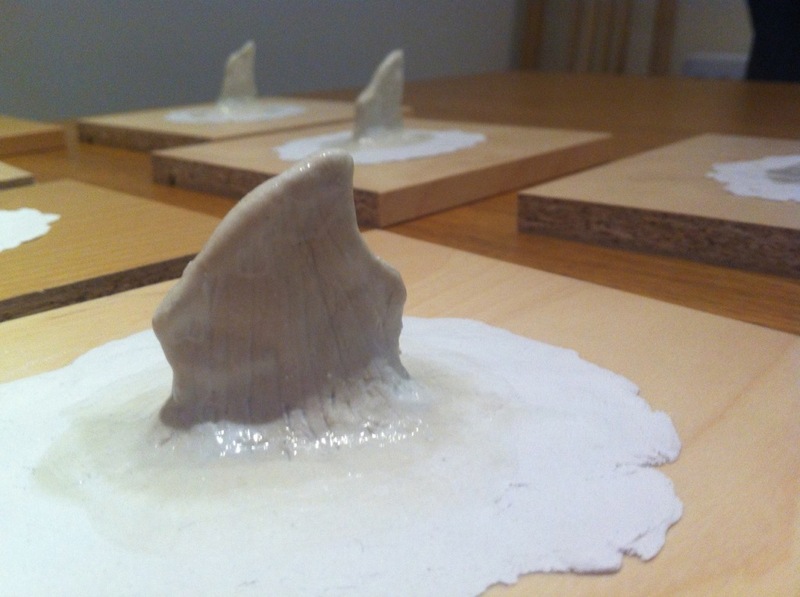 The thinner parts will dry fastest. Mine took 48 hours to completely dry. When they are all white you are ready to apply the latex. 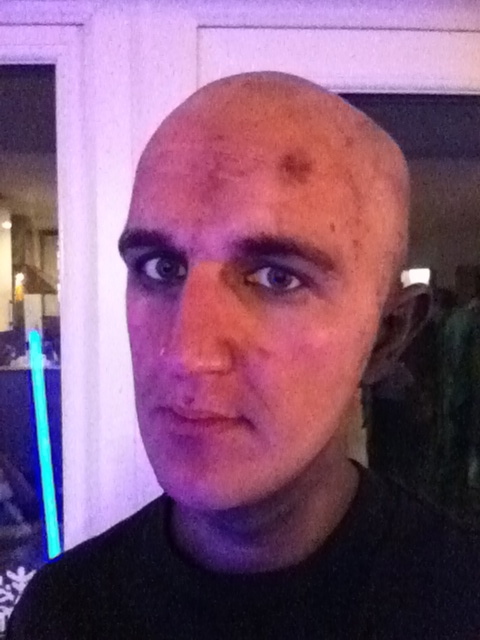 I took the slow and steady approach with the liquid latex, opting to apply around 15 very thin coats. 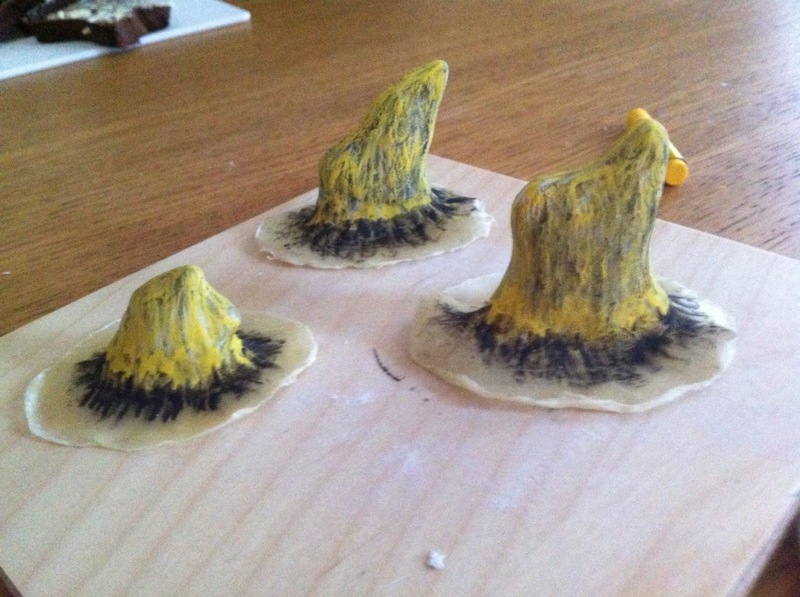 Each coat only took around 15-20 minutes to dry. In contrast to the clay, it goes on white but dries a yellowy colour, but this doesn’t matter as we are going to add our own colour to them anyway, plus we want them to look like yellow bones so it’s not a bad colour to have as a base colour. I tried to apply each layer slightly thicker on any edges to avoid tearing at the point of removing the latex from the mould, and thinner on the base to help with the blending at the later point of application. The key here is trying not to rush things and trust that over time the layers will build up to create the desired effect. It was at this stage that I was in two minds as to whether I should paint the latex while it was on the clay or after I had peeled it off. 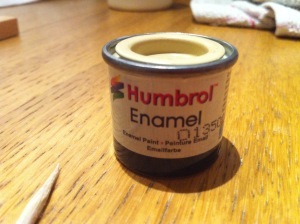 I opted to paint it afterwards as I had mistakenly bought enamel paint, which dries hard. 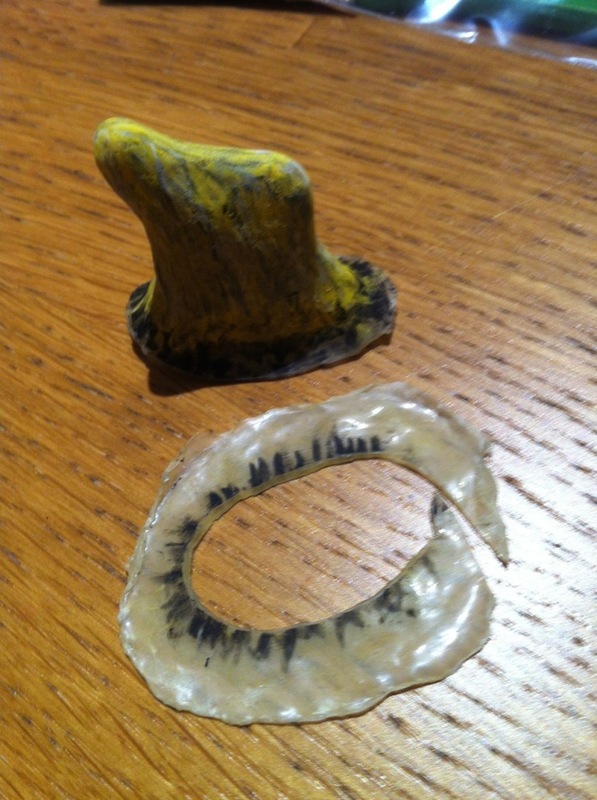 I was worried that if the paint dried hard and I tried to peel the latex off the mould it would cause the latex to dry up and possibly crack. 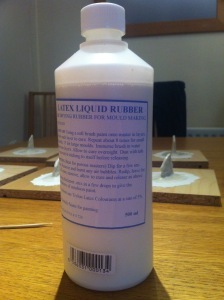 If you wish to paint your horns I would advise using a stretchy paint that will move and stretch with the latex. You have to be brave at this stage. When the latex has dried, it’s pretty tough stuff. 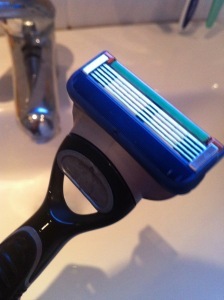 I managed to peel all 8 of mine off without any problems or rips. Start by working a small section of the based towards the horn and as it comes away simply peel it off slowly bit by bit. I read online that a good idea is to dust the latex with talcum powder at this stage to prevent it from sticking to itself, but I didn’t have any to hand so I just went for it and I had no such issues, but I guess if you’ve got some talc it wouldn’t hurt to use some just in case. You will find that your casts are now inside out. 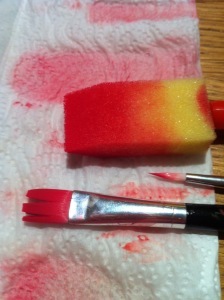 To reverse them I used a combination of my fingers and the wooden end of one of my finer brushes. 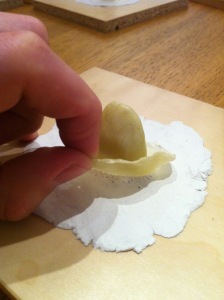 For any very delicate parts you can blow into the casts to push them back without the risk of damaging them. When you’ve managed to peel the latex off you may find some of the plaster has stuck to the inside of the latex, this is fine as long as there isn’t too much on the base area where you will be applying the adhesive. If there is, I would advise trying to lightly scratch it off instead of using water. I used a small amount of water and the latex seemed to weaken. 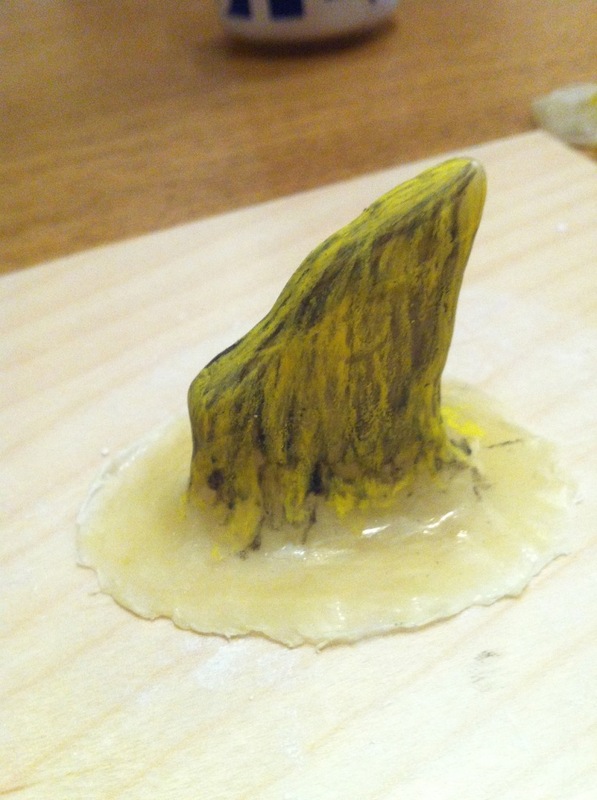 I found that using crayons on the latex gave a great “bone” like texture to the surface. 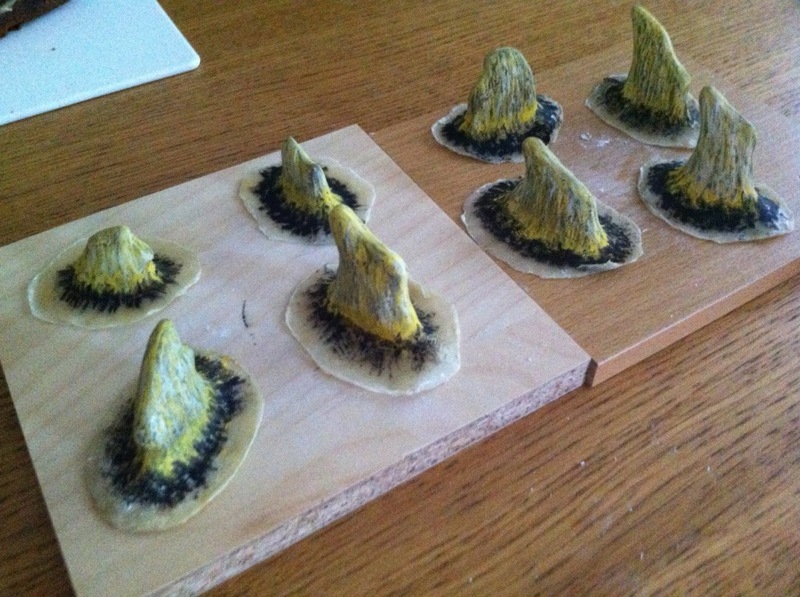 For my horns I used 3 basic colours: Black, Yellow and White, building up to the final texture and colour in layers. 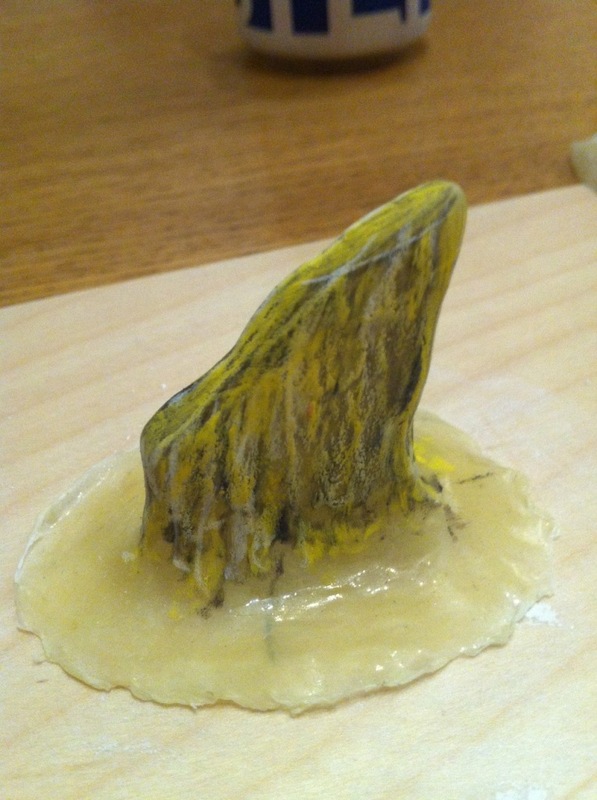 Then I repeated the process 2 or 3 times, each time getting lighter and lighter with each coat until all the areas of the latex where covered and I ended up with the required “Yellow” sort of bone texture and colour. 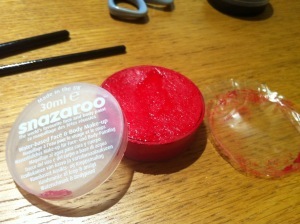 Finally just cut around the base with a pair of scissors to remove any excess latex from the base to make it easier to blend the edges in with your makeup. Alternative, if you are brave, you can stick them on now and paint over the bases with the face paint, but I wanted to start painting first so I had an idea of where I wanted the horns to be positioned. 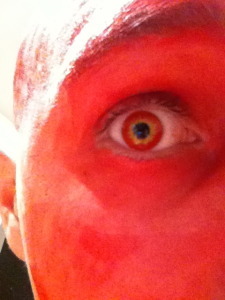 Next up, some Darth Maul style contact lenses. 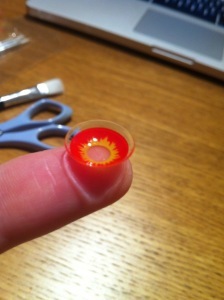 I bought some 24 hour disposable lenses, but you can get 30 day ones if you want a bit more life from them, maybe if you’re going to do this more than once. 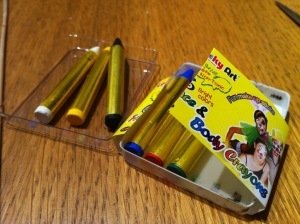 I would advice putting these in now with clean hands before things get messy with the face paints and glue. Before applying them, the lenses look the same from both sides, which made the idea of putting them into my eye slightly unsettling, but rest assured when they are in you will be able to see through them… magic! Because they appear the same from both sides, a clever way of telling if they are inside out is to look across the top or edge of the lenses, if the edges appear sharp they are inside out, if they appear more curved or tapered they are the right way around. 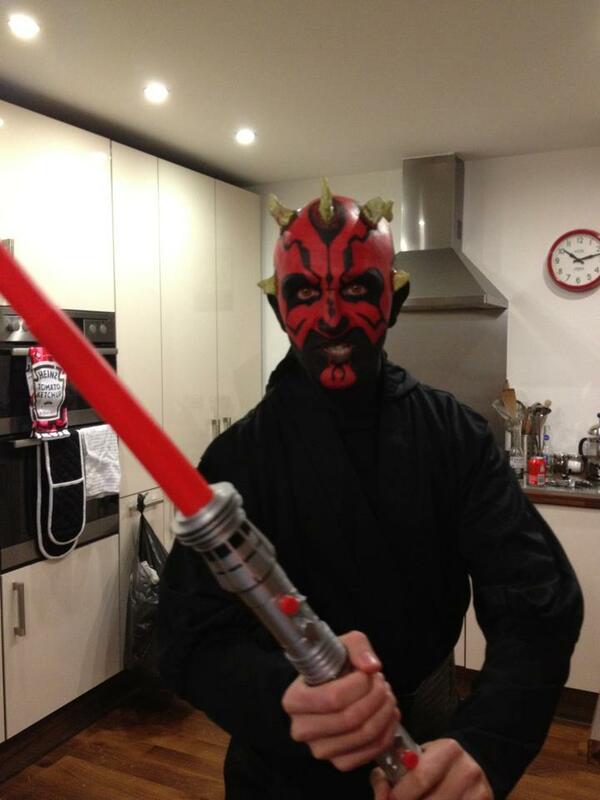 If, like me, nature has already taken it’s course, at this stage you may only require a slight shave to achieve the hairless look that this Darth Maul costume requires. Now comes the fun part! 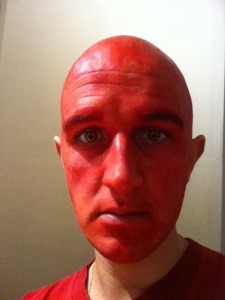 First of all I gave my whole face a couple of coats of red as a base. This way you can just let it dry and paint the black details on top. The only down side is you’ll temporally look like a giant haemorrhoid! Next, paint the whole neck area black. Depending on your costume it’s only worth painting to the neck line of your top. 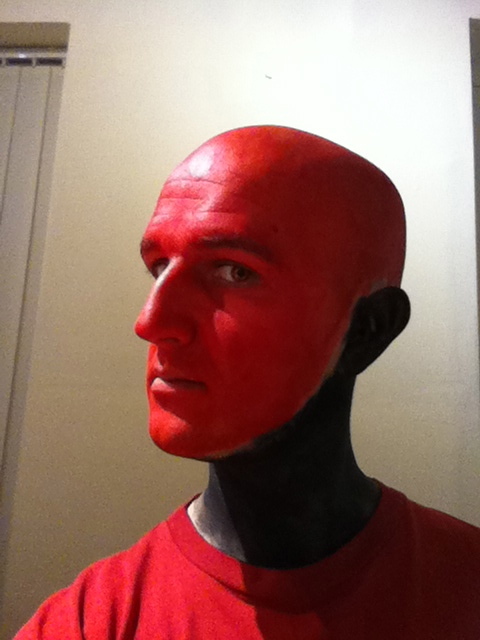 I only went as far as my jaw line at this stage but I also painted my ears at this stage as well. It’s worth pointing out, you should maybe start to think about changing your clothes at this point. Anything you are wearing after this point is going to get messy when you try to take it off and you run the risk of spoiling your hard work. Then I used the crayons I mentioned earlier to draw a faint outline for some of the detail. Starting with the black on the cheeks and detail around the mouth. Don’t worry about being too accurate as long as you only apply a light line for a guide. Then I added more of the blacks including the area around the eyes and the tear drop shapes on the top of my head for the horns. 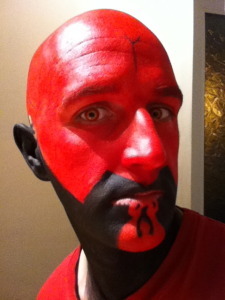 I also added the line down the centre of my forehead and nose. 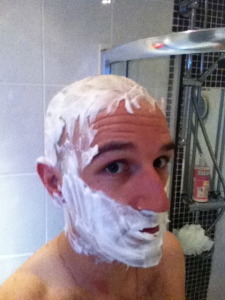 Let the ‘tear drop’ parts on the top of your head dry thoroughly. 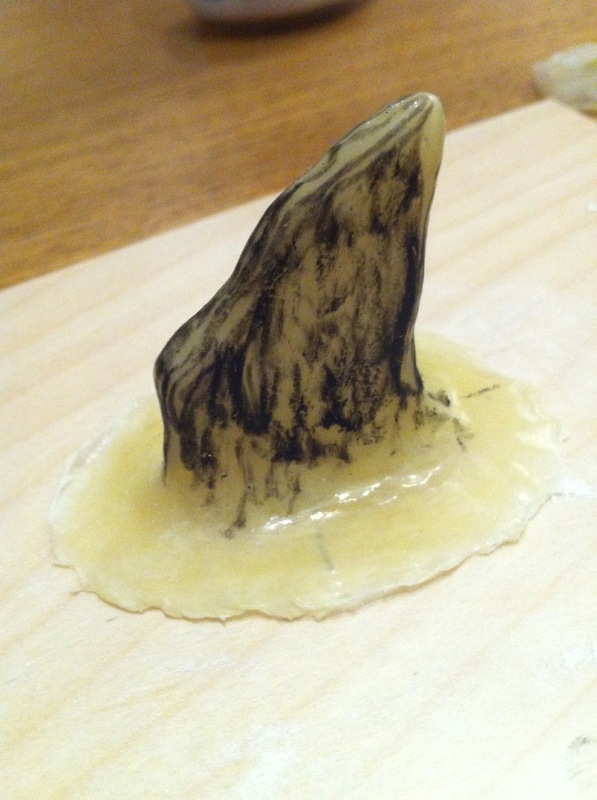 When it’s dry, apply some liquid latex to the inside edges of the first horn and place it into position on your head. Remove it straight away, this way you can see exactly where the horn will be and you can apply some more latex directly to your head. 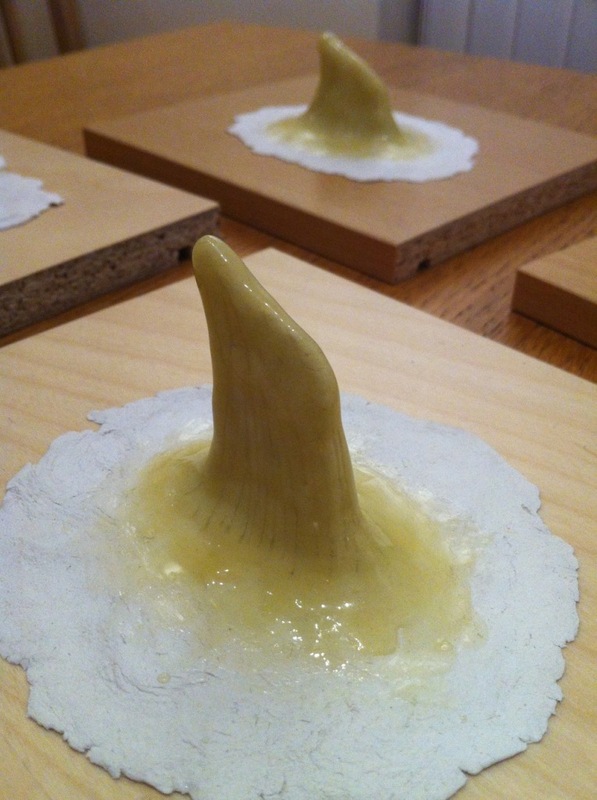 Re-apply some more liquid latex to the horn and let both surfaces dry for about 2 minutes, until they are both tacky. 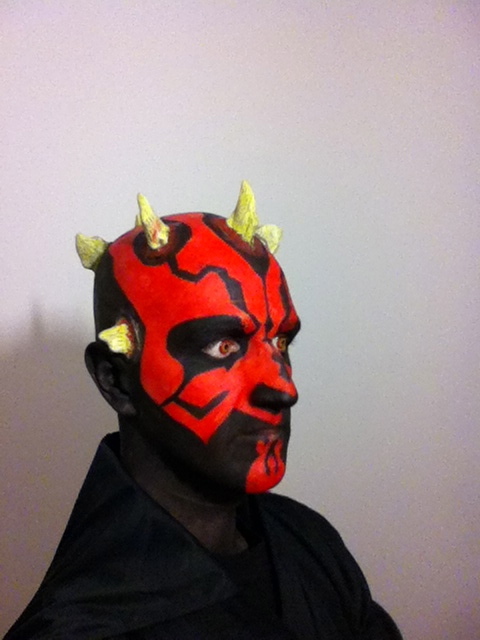 This is very important – Liquid latex (when being used as a glue) needs to be tacky in order to form a decent bond. Hold each horn into place for a minute after applying. When it is stuck apply a small amount of latex to the edges of the horns to help enforce the bond and make the edges easier to blend into your paint. Repeat this process for each horn. 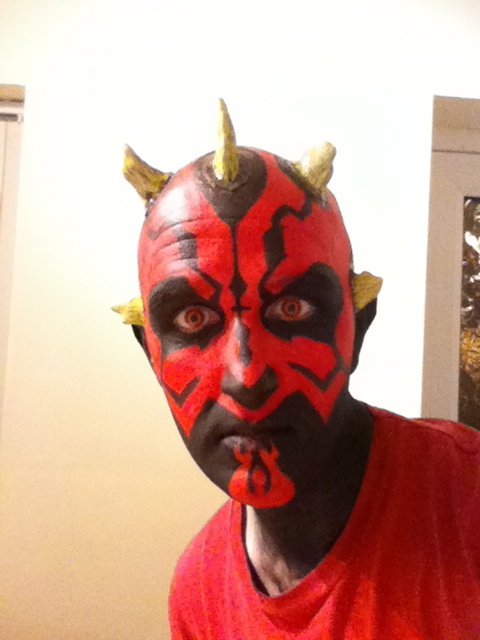 While the horns were drying properly, I used this time to fill in the finer details, including the tribal patterns on my forehead, cheeks and around the eyes. 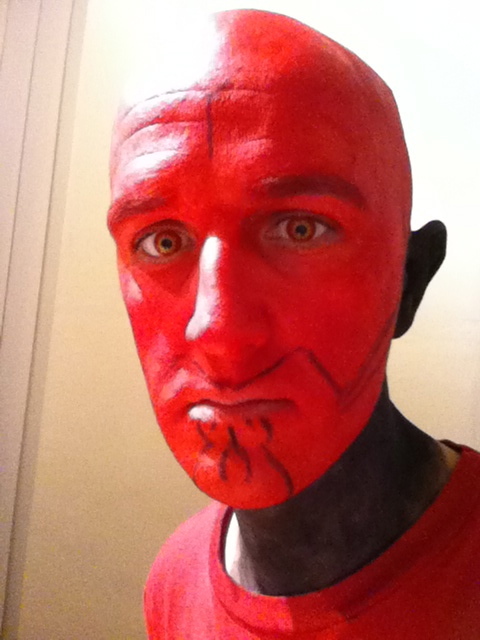 When the horns were 100% dry, I dabbed some black face paint around the base of the latex to blend them into my scalp, then I added a very light splattering of red face paint on top of that to look like dried blood from the horns. These picture were actually taken quite late on in the night, so I’d had a few drinks and things were starting to get a little bit smudged, but you get the idea. 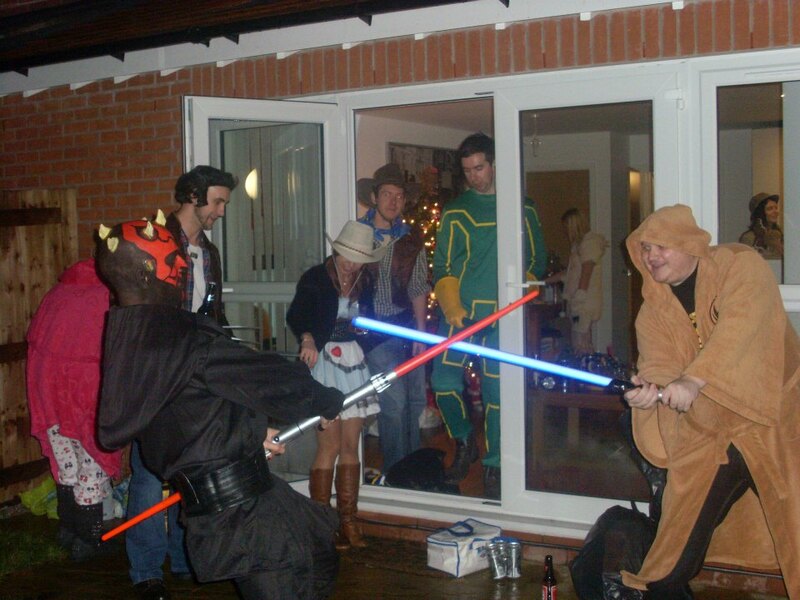 To finish things off I bought a cheap Darth Maul costume from a local fancy dress shop (The Party Palace in Widnes, Cheshire) so I could use the belt and Gi from that set and I spray painted some old wellington boots black. This was a much cheaper option compared to buying a proper karate Gi and boots and I thought it worked great. 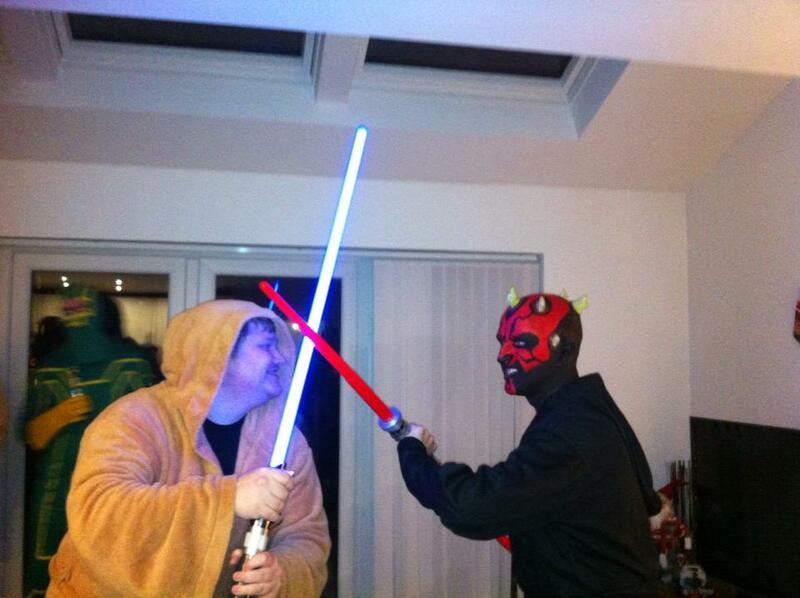 Here’s my double ended lightsaber. Shame it didn’t light up like my adversary’s.